Advance sale of bus tickets for Eid-ul-Fitr has started in the capital on Monday morning. 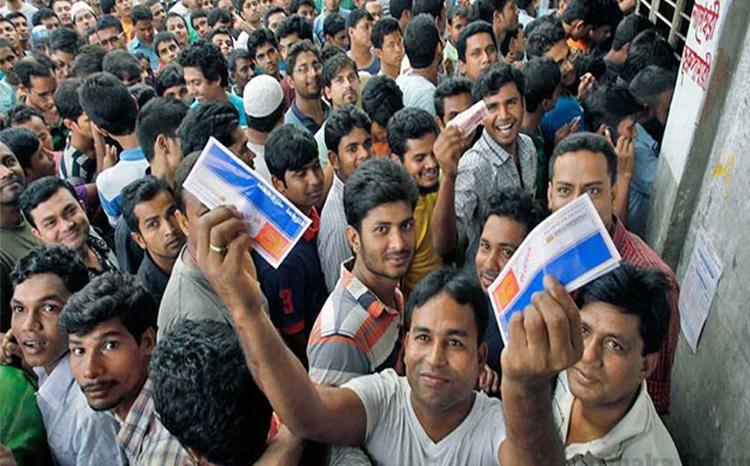 The picture of different bus terminals in the capital including Gabtoli and Kalyanpur was seen overcrowded as a large number of people gathered to collect tickets. A huge demand was observed for tickets of June 30 and July 4, ticket sellers and buyers told the Daily Sun online. The customers, however, alleged that they had to pay around Tk120-250 more than the usual prices for the tickets. The first day of ticket-selling is going on in full swing at some bus services such as Hanif Enterprise, Nabil Paribahan, National Travels and Shyamoli Paribahan, as well as Mohakhali and a few other bus terminals.